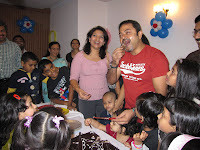 Birthday parties are usually associated with children. In the good old days, birthdays of many children would pass by without much notice; perhaps just a special meal cooked at home and payasam thereafter. I remember being given money to buy one or two books and during the more prosperous years for the family, I would have got a new shirt or trouser. In any case, birthdays were different then in a sense – one really didn’t bother too much about celebrations as such. 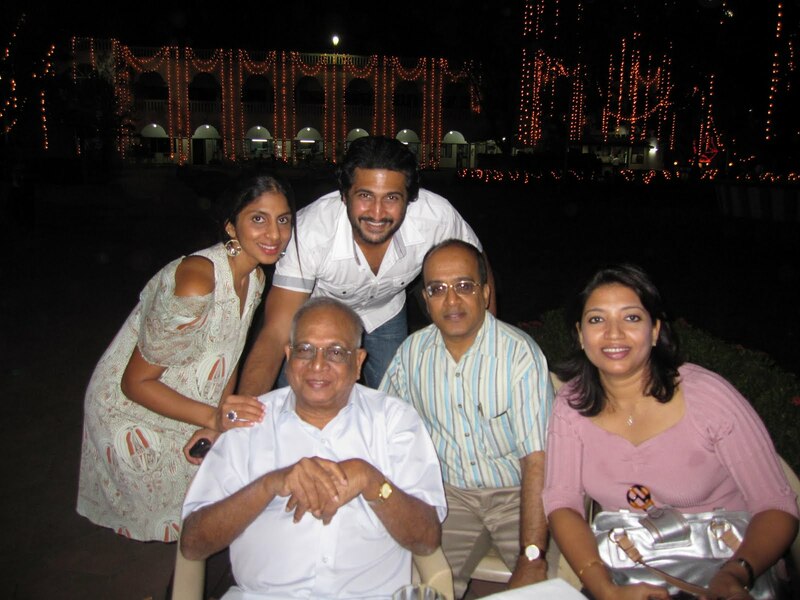 Coming to more recent times, I remember my daughter and some of her friends all excited and raring to go days ahead of their birthdays. The menu would be decided well in advance, they would accompany parents to pick and choose take-away gifts, insist on buying balloons to decorate the house, and anything else that caught their fancy. At these parties, after the customary cake-cutting ceremony, singing of ‘Happy birthday…” and partaking of the varied fare on offer, the children would play music, dance and invent games of their own. They were too young then to call it a birthday bash, but a bash it would be nonetheless. Of course, once they grew up, the excitement of celebrating birthdays suddenly died down, almost imperceptibly. Now they wanted to take their friends out for high tea or lunch or dinner, or a film if there was a good one playing. Gradually, the friends circle would diminish in size and only the close ones actually got together during birthdays. If the children have lost some of that early excitement to celebrate their own birthdays, they sometimes go out of their way to organise celebrations for parents. A neighbour’s grandson has just arrived from California on a week’s holiday. The reason he’s here is not because of the New Year but because he and his sister had planned a celebration for their parents’ 25th wedding anniversary. In the last couple of years I’ve been invited to quite a few such celebrations and for the lucky couple it’s almost like being married all over again. Some children pull out all stops to celebrate the birthday of their parents, too. One such was the 75th birthday of city chronicler S. Muthiah, when his two daughters organised a do at the Madras Club. And then five years later, it was an even bigger event at the same venue when he turned 80. Great occasions both, to not just celebrate but also to bond, for fellowship and reviving old ties. I am all for such celebrations. 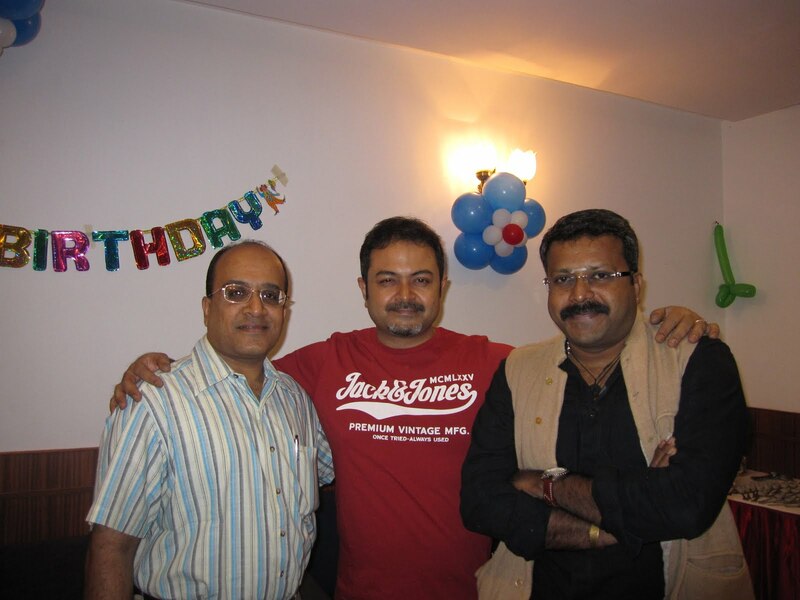 Therefore, I was pleasantly surprised one afternoon when my former colleague Bishwanath Ghosh called to invite me for his 40th birthday. It was almost like he was getting out of his teens and entering the heady twenties, as twenties are meant to be. So, how does it feel to be 40? No change as such, he said at the party last night, but I’m sure he must have had a special feeling run through him, backed by a new fair wind and maturity. 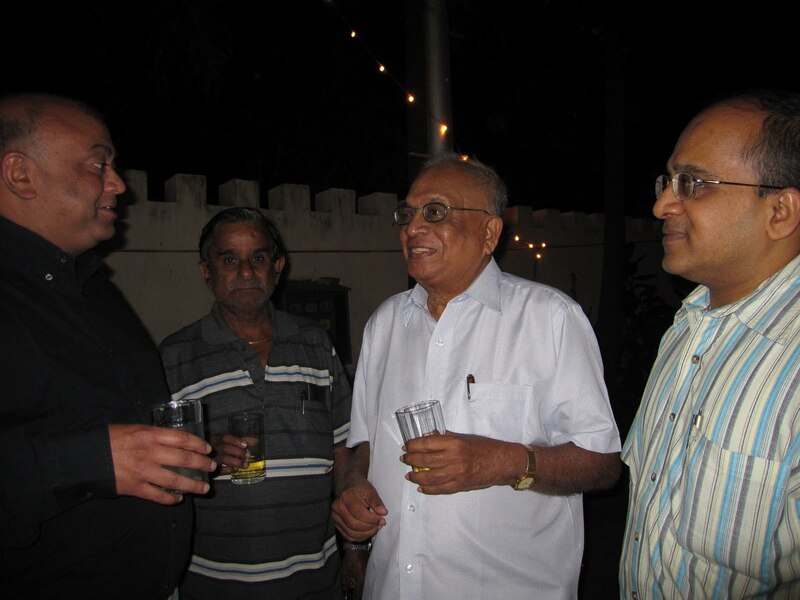 It was a party that saw some of the well known names in journalism in Chennai, young and old, turn out; there was a well known doctor as well, a couple of printers, and a young colonel heading to Kargil. He even invited me for a holiday there… may be some day! And as the booze flowed and the spirits soared, most of the talk centred around ethics in journalism, developments in some of the local mainline newspapers, general gossip about the news publishing business, and local politics. It was I would say time well spent. BG has had a fairly successful launch of his first book, Chai Chai. That has motivated him to get going on a second, based on Madras and its growth. His fondness for research, the old and the new, and felicity with words could soon establish himself as an author of note. Not everybody is qualified to write a book. You may be a good writer-editor but that’s not qualification enough. I have noticed that BG has that extra in him that could mark him out if he pursues his interest with great discipline. When I returned, my wife gave me a quizzical look and asked why I had done nothing to celebrate her 40th birthday, which is several months past... It's a question that is likely to keep popping up every time she is about to hit a landmark year, I'm sure. Thank you, BG! Pictures show BG flanked by Arun Ram (metro editor, TOI) and yours truly; BG's big moment, with wife Shuvashree, friends, relatives and a host of children; yours truly with S. Muthiah, P. Chanda and a friend; and with Priya Selvaraj, Adithya and Shuvashree. To be reminded about the day we entered is definitely a reason for joy and happiness . . . no matter how old!